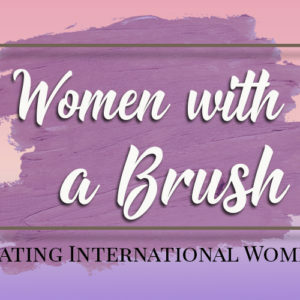 When looking at the striking artwork from the late nineteenth and early twentieth centuries we often see the same beautiful women throughout various pieces, and although these faces may become as familiar as the artist himself we often have little knowledge of the person behind the portrait. 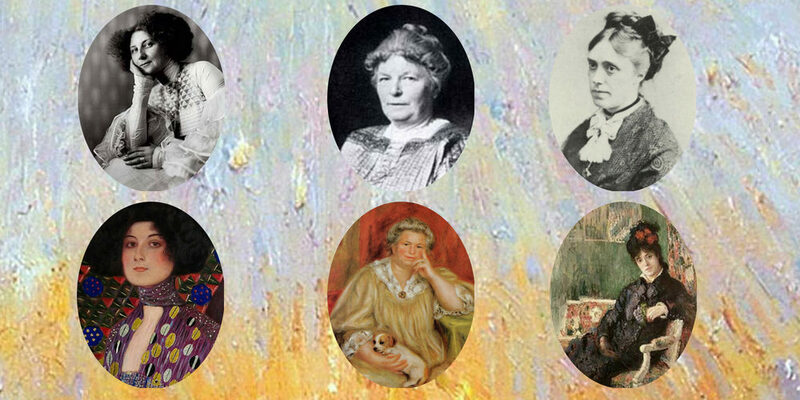 Who are these stunning women that captured the imagination and inspired the great artists who painted them? 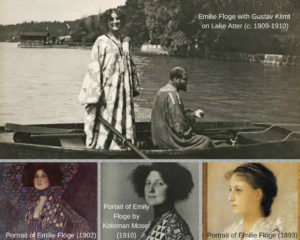 Emilie Flöge (1874-1952) was the companion and muse of Gustav Klimt. 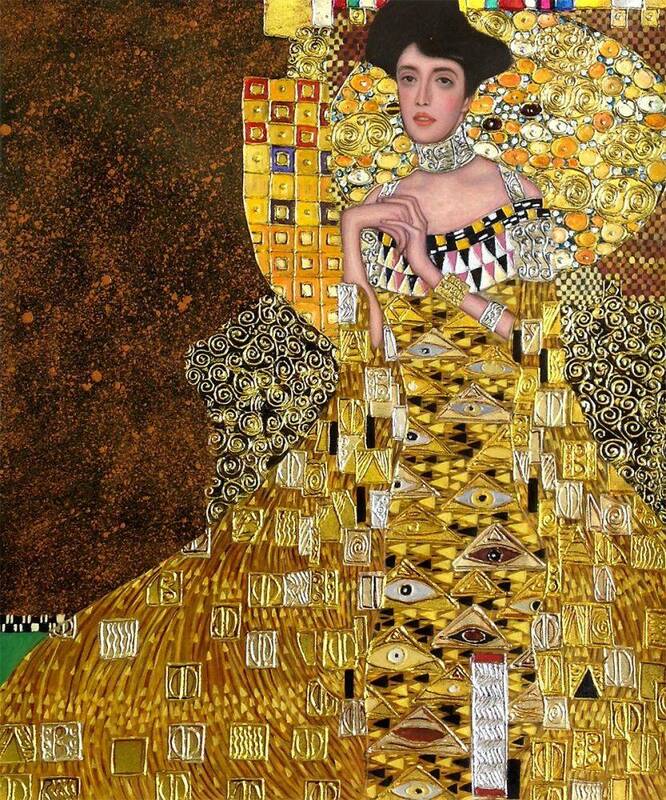 The two met when Emilie was 18 years old and Klimt was around 30 years old. 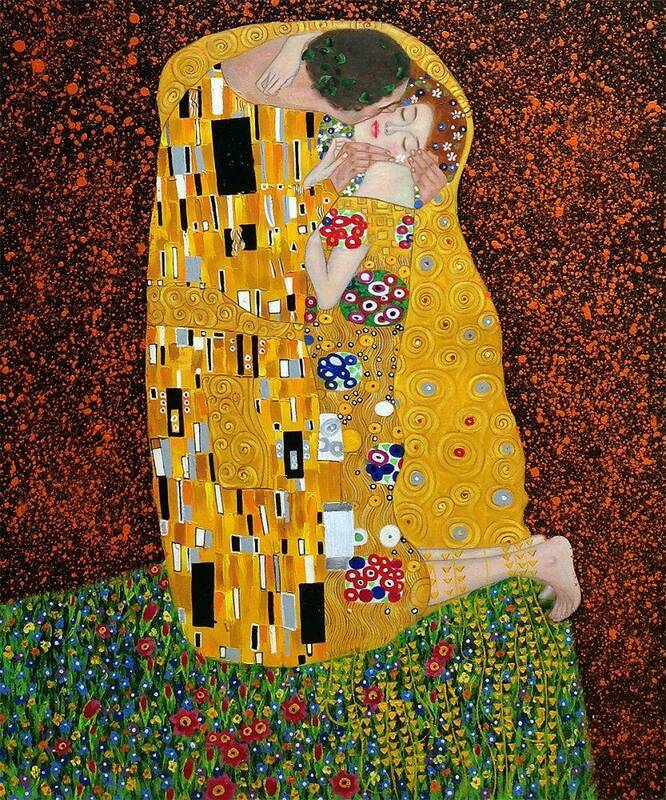 Although they never married or had children, their relationship would last for 26 years, until Klimt’s death in 1918. Emilie and her sister ran a couture fashion salon in Vienna where they would design dresses that were known as Reform Dresses at the time. These loose fitting dresses could be worn without a corset and were heavily patterned. Emilie, herself, appears in Klimt’s works Portrait of Emilie Flöge (1893), Portrait of Emilie Flöge (1902), and some historians believe that The Kiss (1908) is a portrait of Klimt and Flöge. Despite the rare appearance of Emilie in his paintings, her fashion designs can be seen throughout his works. The women in Portrait of Adele Bloch Bauer I (1907), Portrait of Adele Bloch Bauer II (1912), Portrait of Baroness Elisabeth Bachofen-Echt (1916), and Signora con Ventaglio (1918) all feature women wearing dresses designed by or inspired by Emilie Flöge. 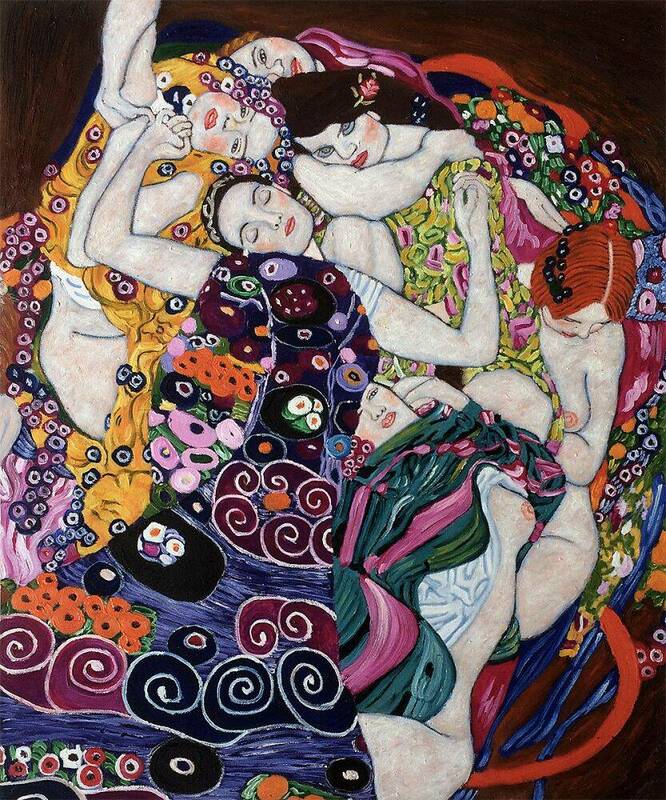 To see all of Gustav Klimt’s portraits please visit our Klimt gallery here. 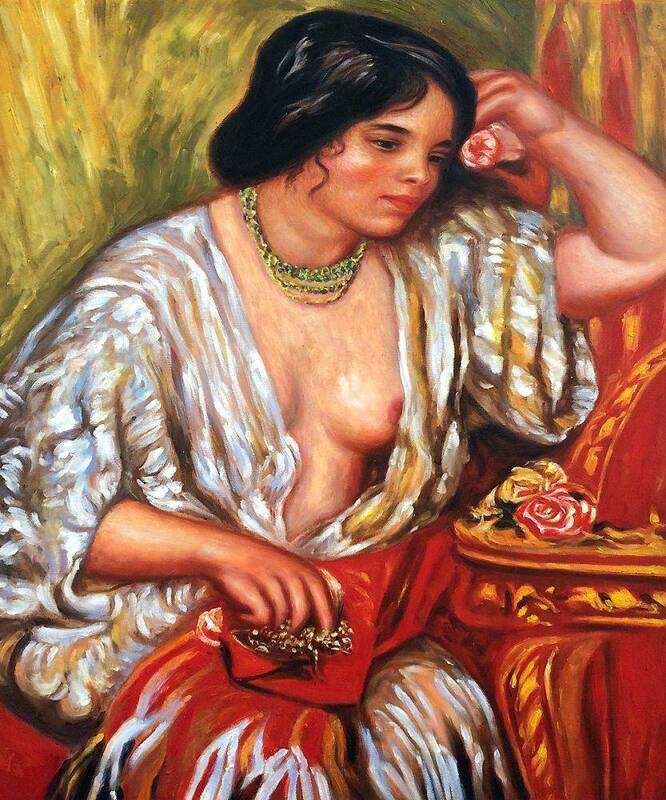 For Impressionist master Pierre-Auguste Renoir there would be two women who captured his attention. 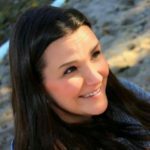 The first would be a dressmaker named Aline Charigot. The two met in 1880 when Aline was around 20 years old and Renoir was almost 40. In 1885 Aline gave birth to their first son, Pierre. They would marry in 1890 and go on to have two more sons. 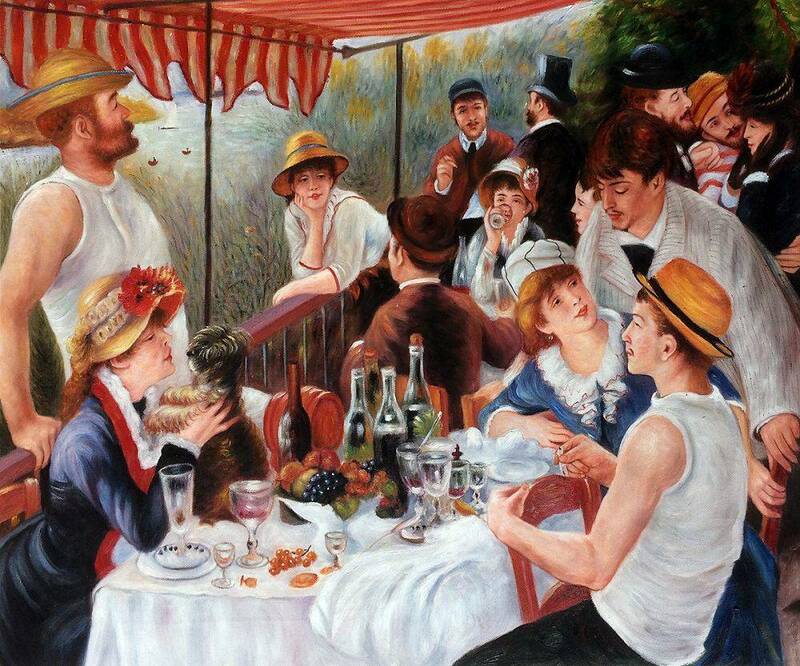 Aline can be seen in numerous pieces by Renoir including: Luncheon of the Boating Party (1881), Boating Couple (1881), Blonde Bather (1881), Dance in the Country (1883), In the Garden (1885), The Artist’s Family (1896), and several others. After the birth of their son, Claude, in 1901 Aline developed diabetes, a disease she hid from her husband. She passed away in 1915, preceding her husband by four years. 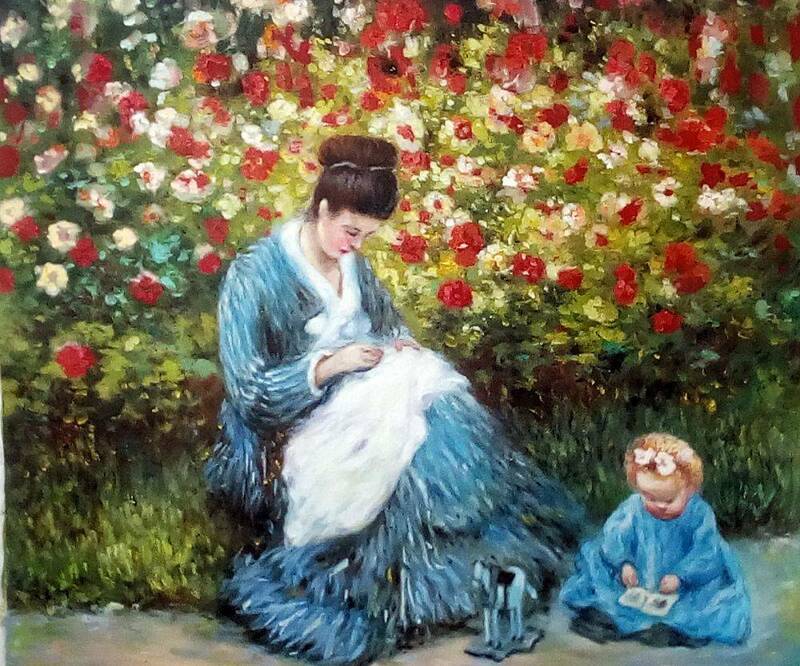 Renoir’s other muse was Aline’s cousin and the family’s nanny, Gabrielle Renard. Gabrielle bonded with the couple’s second son, Jean. That bond would last throughout their lives. 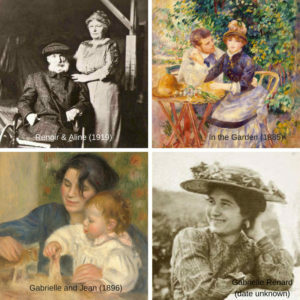 Gabrielle can be seen in Renoir’s works Gabrielle and Jean (1896), The Artist’s Family (1896), and Gabrielle with a Rose (1911), among many others. 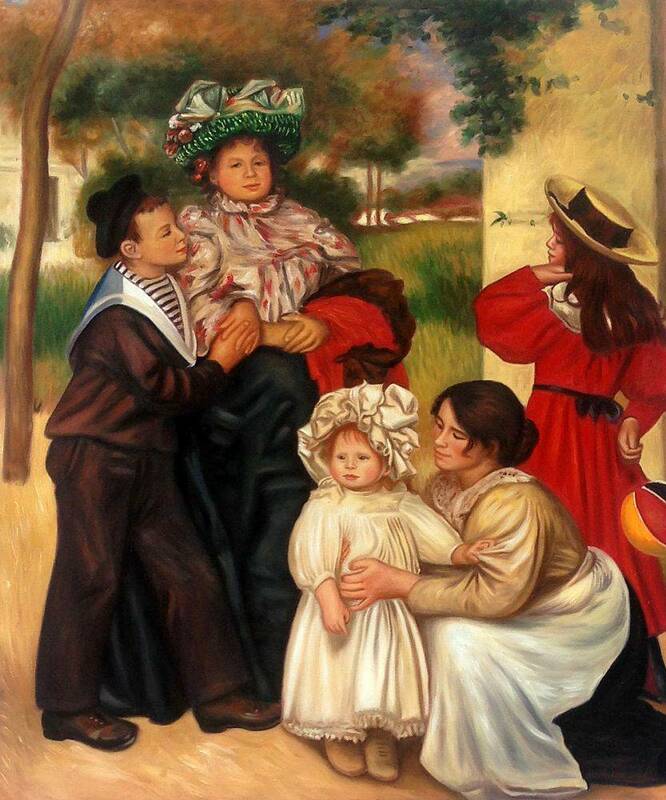 To view all of Pierre-Auguste Renoir’s works please visit our Renoir gallery here. Camille Doncieux (1847-1879) began to model while in her teens. It was during this time, in 1865, that she met Claude Monet and became his mistress shortly after. In 1867, two years after they first met, Camille would give birth to the couple’s first son, Jean. 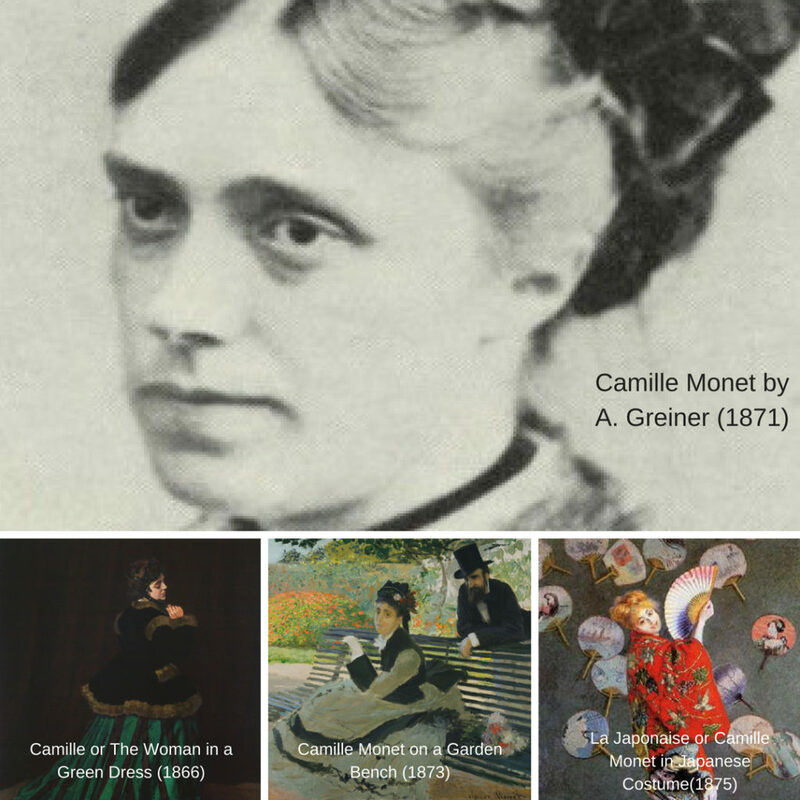 Monet’s father, who supported him financially, did not approve of the relationship between Camille and Claude, and so during her pregnancy Monet left her in Paris to return to the family estate and protect his monthly stipend. In 1868 Monet would reunite with Camille and their son in Paris, although Monet would continue to hide the relationship from his father. The couple married in 1870. Camille modeled for her husband on many occasions and she was one of his favorite subjects. 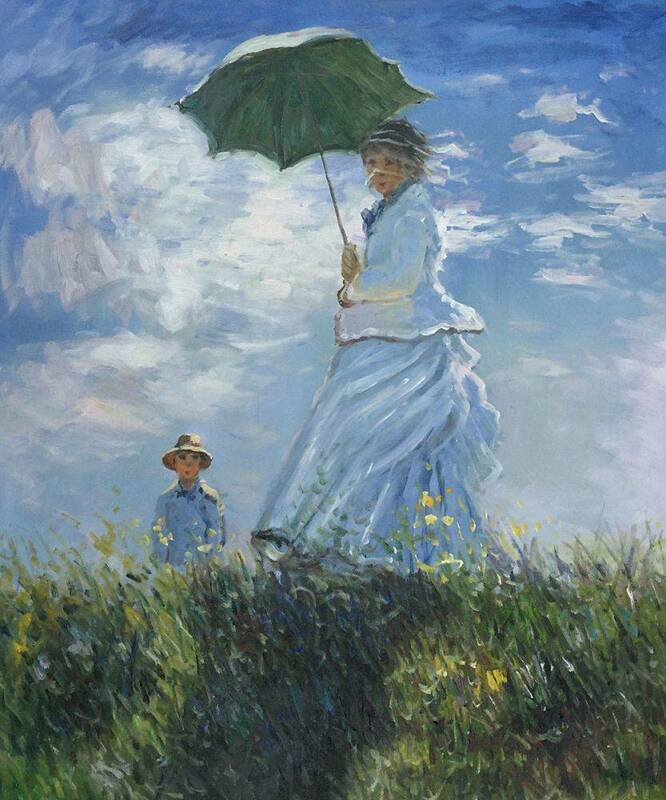 She can be found in Camille or The Woman in a Green Dress (1866), Poppy Field in Argenteuil (1871), The Promenade Near Argenteuil (1873), Madame Monet and her Son (1875), Camille Monet and a Child in the Artist’s Garden in Argenteuil (1875), and Camille Monet in Japanese Costume (1876), as well as many others. 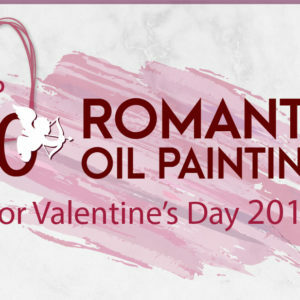 To see more of Claude Monet’s work please visit our Monet gallery here. 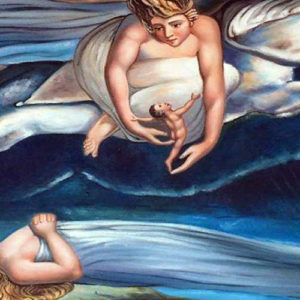 These women were all influential in the development and artistic careers of their partners. They each had their own story, which is often overlooked. Next time you are admiring a great piece of art, don’t forget to ask yourself “who is this person?” She may be a daring fashion designer and businesswoman in her own right, or a young dressmaker immersed in the art scene, or a model that was abandoned, penniless and pregnant, but still managed to provide for herself and her baby while waiting for her love to return.